Ensure YOUR dental practice stands out from the crowd? There's a lot of competition in the dental industry for new patients. Every day new websites appear, offering to make it attractive for potential customers to switch to their practice. So, what’s the secret to standing out from the crowd? The answer is compelling, engaging website content that makes you stand out from every other dental practice out there. 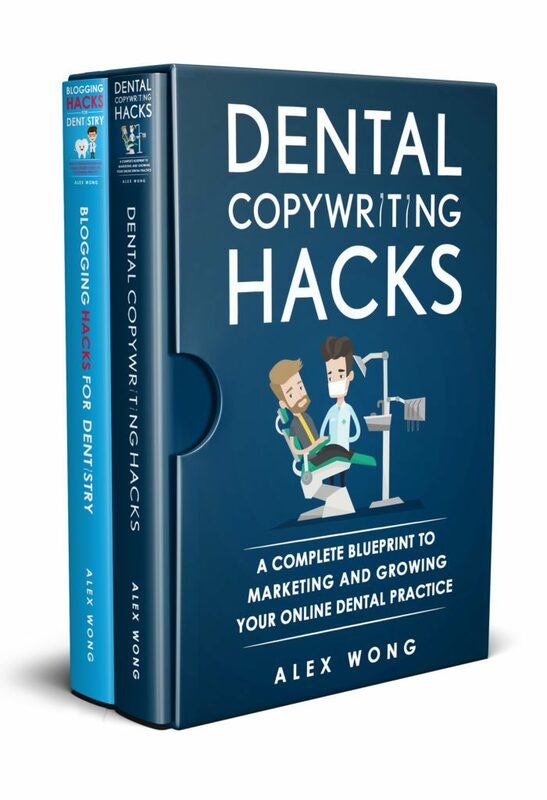 In Dental Content Marketing Hacks, you get two books for the price of one, Dental Copywriting Hacks and Blogging Hacks For Dentistry. The first book, Dental Copywriting Hacks, focuses on how to create compelling content for your website, while the second book, Blogging Hacks for Dentistry, shows you how to create unique engaging blog posts that will attract the patients you need to make your practice a success. So, are you ready to take your practice to the next level? Grab a copy of Dental Content Marketing Hacks and start making a success of your dental business today! This book is filled with easy-to-use, practical advice on enhancing your website content. In-depth strategies to understand your customers and improve your homepage, service pages, and blog content are provided. I also like the detailed examples and worksheets. The amount of information covered in both books is impressive. These are the best dental copywriting and blogging books I have read to date. Highly recommended. Great guide for dental practices who want to take their marketing to the next level. I really like the author’s approach and writing style. It feels like he is having a conversation with us. There are lots of good tips and advice. The accompanying workbook is a nice touch too. Great books for those who are run their own website or blog. The author shares his personal experiences and offers practical ways to improve your website content. He makes things easy to follow by giving lots of examples and the exact steps to take. I have been running my own website and blog for a couple months now and have made a lot of improvements to it. Many books fail to provide enough information and assume that you already know what to do. Not so with these books. "Dental Copywriting Hacks" and "Blogging Hacks for Dentistry" give you everything you need to create a professional website and blog for your online business. Highly recommend! Take your dental practice to the next level with just one click!